Our 2018 show will feature a wonderful selection of exhibitors and crafters offering a wide array of gifts and personal items. 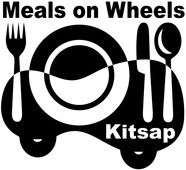 Our goal is to provide a fun holiday shopping experience while raising funds and awareness for Meals on Wheels Kitsap. 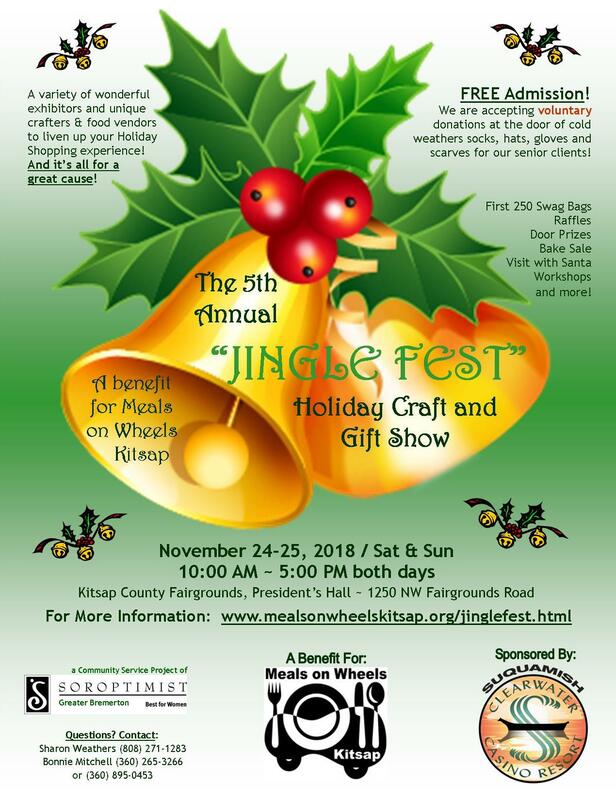 Jingle Fest 2018 is a 2-day show happening Saturday & Sunday, November 24-25, 2018 at Kitsap County Fairgrounds, President's Hall. Parking is FREE so come one, come all and spend the day with us! Stop in for a visit and show your support for our local small businesses! in the lower lot near the pavilion. Make it a family outing! It'll be fun! However, we are accepting voluntary donations at the door ﻿of cold weather items ﻿for holiday gift bags for our senior clients! For a wish list of items -- visit our FAQ page.